Palette Surgeonfish can grow up to 31 cm what is approximately 12 inches. 1 specimen basically needs at least 3720cm2 of water surface which is approximately 576 square inch. We recommend you to keep it in fish tanks which are large. (e) Medium aquariums have at least 113 Litres (30 US Gallons). 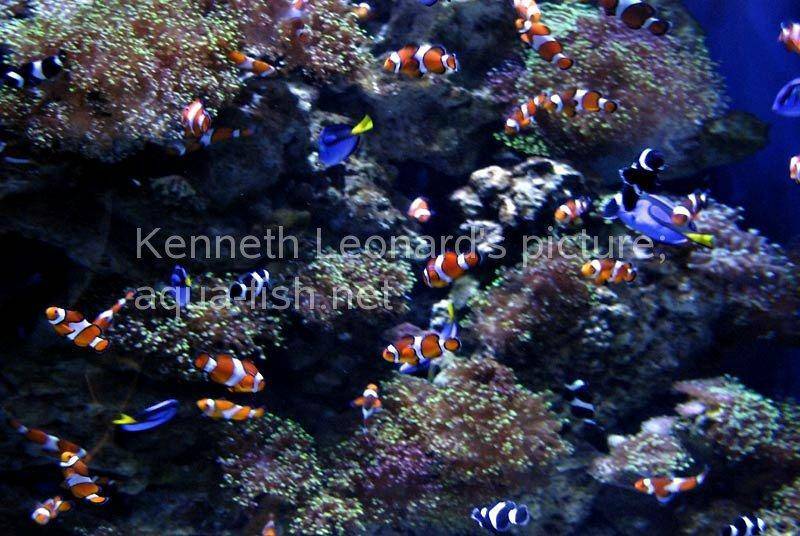 Large aquariums have at least 265 Litres (70 US Gallons). Very large aquariums have at least 700 Litres (185 US Gallons). 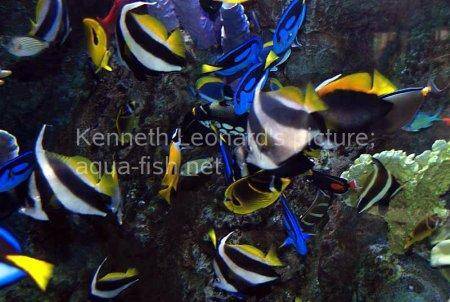 It is difficult to keep the Palette Surgeonfish. (e) The specific gravity (SG) should be between 1,020 and 1,025, the temperature between 23°C (73.4°F) and 26°C (78.8°F). The pH levels shouldn't be outside of 8.0 - 8.3 since most marine fish are used to the mentioned range of pH values. 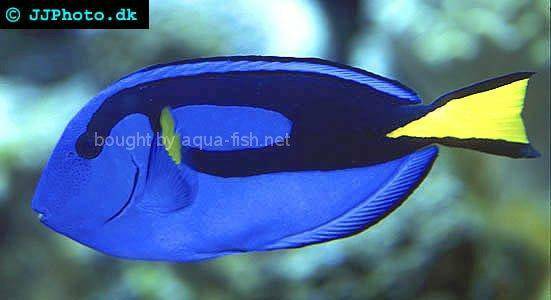 It's my dream to keep this blue tang. Within 2 months since I purchased it doubled the size now. It likes to eat chopped shrimp. Feel free to share your experiences regarding keeping Paracanthurus hepatus below. Every message will be held for approval by our moderators. It usually takes 24 hours to publish your comment. Before you ask anything, browse the questions page, please. 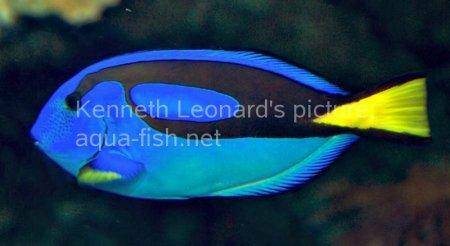 "Palette Surgeonfish." saltwater.aqua-fish.net. Wed Dec 19 13:05:22 UTC 2007. Aqua-Fish.Net. 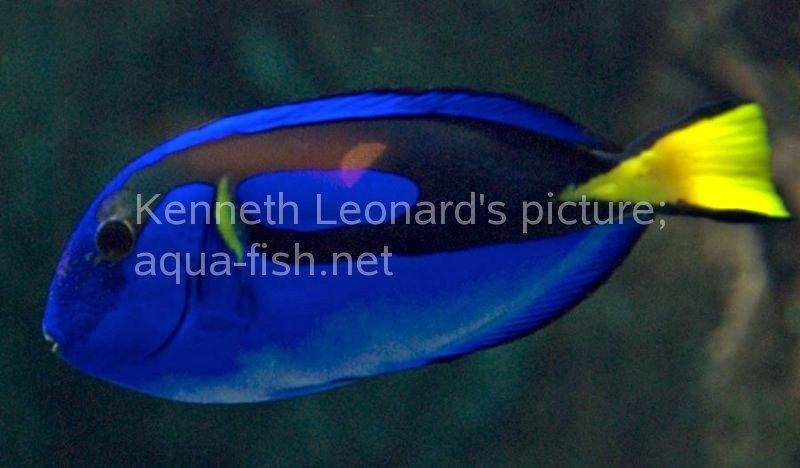 Mon Apr 22 8:05:39 UTC 2019 https://saltwater.aqua-fish.net/?palette-surgeonfish.